Jared Fenton, a Junior at the University of Pennsylvania, created Penn Reflect, a peer-support group, to give students an opportunity to talk about their stresses in a stigma-free environment. Melissa Ann Hopely said it felt like "a punch in the face." 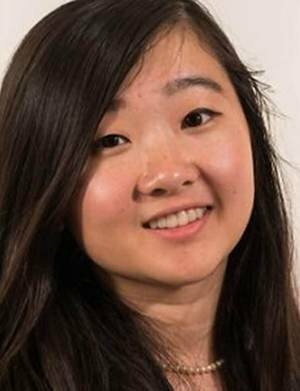 Just a day before Penn junior Ao "Olivia" Kong died after falling in front of a subway train at station at 40th and Market streets, Hopely had been doing mental health peer training with students at the university. Widely reported that the 21-year-old student at the Wharton School took her own life, Kong's death on April 11 would be the 11th student suicide at the University of Pennsylvania in the past three years. Hopely is the program director for the Ardmore-based Minding Your Mind, which provides mental health education to adolescents, teens and young adults, and a mentor at CogWell, a Penn group that works to create a peer-to-peer network to promote mental health and combat mental illness. "It was literally like a punch in the face," Hopely said last week of the shocking news. Hopely, who trains students to notice the signs of mental health issues in their peers, said that it is important to take time to learn about mental health. She speaks from her own experience in dealing with anxiety and depression. 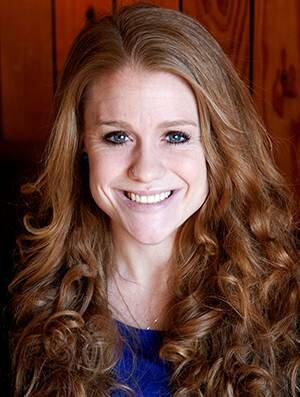 Melissa Ann Hopely is program director for Ardmore-based Minding Your Mind, which provides mental health education to adolescents, teens and young adults. The group brings in guest speakers – former NFL running back Ricky Williams visited last month, for example – to talk to Penn students about the own personal struggles with stress and mental health. "Everyone doesn't have a mental illness, but everyone has mental health," Hopely said. Mental health issues have been an ongoing concern at Penn. In an attempt to address the number of campus suicides, a university task force released a report in 2015 that assessed student psychological health and welfare. It called for, among other things, more coordination of mental health services on campus and the creation of an oversight committee. In the months since, the school has reduced wait times for its Counseling and Psychological Services office (CAPS). On Tuesday, however, in the wake of Kong's death, the university announced it would reconvene the task force to determine additional steps it can take to help students facing issues. Contacted for this story, task force co-chair Anthony Rostain, director of education for Penn's Department of Psychiatry, did not return calls for comment on the panel's original findings. CAPS representatives also refused to comment on the problem, instead sharing letters from Penn president, Amy Gutmann, school provost Vincent Price and Lori Rosenkopf, vice dean of the Wharton School, that shared condolences on Kong's passing. But as detailed in March 2015 by the Chronicle of Higher Education, many students at the Ivy League university deal with stress by putting on the so-called "Penn Face." The term describes how daily struggles are hidden by the smiling face they put on for the world to see, explained junior Jared Fenton, 20, who founded the Penn Reflect group to try to give students a chance to be themselves in a relaxed, welcoming environment. His group is one of several peer-led organizations offering help to students. "It's all about reducing stress, reducing pressure," he said. "We are encouraging people to not put up a wall. Be their true self." Fenton described a sentiment echoed by many contacted for this story: some students at Penn become overwhelmed by the stress of competing academically and socially with other high-achievers. Students who were the big fish in a small pond in high school find the tables turned in college. The academic load gets heavier and more difficult, and they are now surrounded by other high-achievers. The stress builds as students feel new pressure to have an active and robust social life as well. 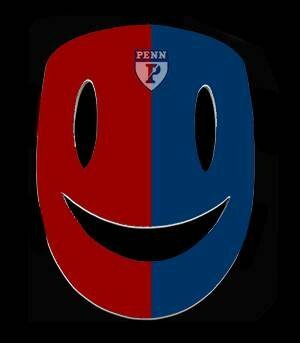 For some students, the "Penn Face" is a party staple. About 25 to 70 students attend the Penn Reflect meetings, emboldened to talk about the demands of school work, social pressure and the like in a safe setting, according to Fenton. "I hope people understand that all you have to do is try to be your best self and that's more than enough," he said. Such pressure is not unique to Ivy League schools like Penn, some experts say. In 2010, Dr. Harold Koplewicz, president of the Child Mind Institute, penned an opinion piece for Huffington Post addressing what he called "suicide universities," following a string of student suicides at Cornell University in New York. "The cause of suicide is not Ivy League pressure or the social and academic expectations that distinguish one school from another," Koplewicz wrote. "Suicide is the third leading cause of death among young people between 15 and 24 years of age: the college years simply fall within this period." Koplewicz was unavailable to comment about the cause, but a colleague elaborated. "When you have a large group of kids that age, we see this phenomena," said Dr. Jamie Howard, director of trauma and resilience services at the New York-based institute, which works with children struggling with mental health and learning disorders. Worse, reports of several suicides at one college can lead to "copycat" incidents. Students who may have been considering taking their own life see another's suicide as proof that it can be possible. "It will make it seem more plausible, more realistic and some people could be more likely to do it," she said. Howard noted that depression spikes in people of that age group, meaning students might especially benefit from mental health support programs. But a stigma around mental health could lead students to adopt "Penn Face"-like behaviors in order to mask issues, she said. "In our society, we see this as a weakness and it's not," she said. "It needs to be treated like an illness, like anything else. When you're sick, you need treatment." Howard applauded peer-led efforts at Penn to address mental health concerns, and recalled helping a fellow collegian who she believed was becoming suicidal. The friend had locked herself in her dorm room for days and was showing signs of severe depression, she said. "I walked her over to the clinic and I said, 'You have to talk to someone'," Howard said. Melanie Wolff, a senior at the University of Pennsylvania, helps students deal with grief and loss in the peer-support group, Actively Moving Forward. Roy Lan, a junior and one of the founders of Penn Benjamins Peer Counseling, said he and friends created the group last year in response to a greater need for peer counseling at the university. As "Penn’s first-and-only in-person peer counseling organization," Lan said the group allows Penn students to counsel other students. "We work to validate the feelings and experiences of our peers while providing them with referral information to wellness resources at Penn, both professional and non-professional," he said in an email. Comprehensive training of peer counselors, said Lan, 21, is what sets his group apart from others led by students on campus. Olivia Kong was a junior at Penn's Wharton School. This photo is from her LinkedIn account. "Our peer counselors cannot begin interacting with peers until they have completed a semester of intensive training, as well as a series of internal evaluations," he said. The group boasts a staff of 40 undergraduate students willing to help their peers deal with the pressures of academic life. Since Kong's death, he said, the group has extended counseling hours and has "hosted a variety of group sessions for students dealing with grief and loss." Another group on campus provides counseling to students who have lost loved ones. Melanie Wolff, 22, a senior, helps students deal with grief and loss as part of Penn's chapter of the national group, Actively Moving Forward. Wolff said she became interested in working with mental health and grief support after her mother died of ovarian cancer while Wolff was in high school. "I found that it was great to have a group to talk about the grieving process," she said. Wolff said that Actively Moving Forward, which meets every three weeks on campus, allows students to grieve in a healthy way. "The best thing about the group is that everyone's loss is so different, but there are a lot of things about the grieving process that are the same," she said. "Empathy is the biggest part of the grieving process." Since last week, she said, students have been asking about her group, and they plan to discuss the tragedy at their next meeting. 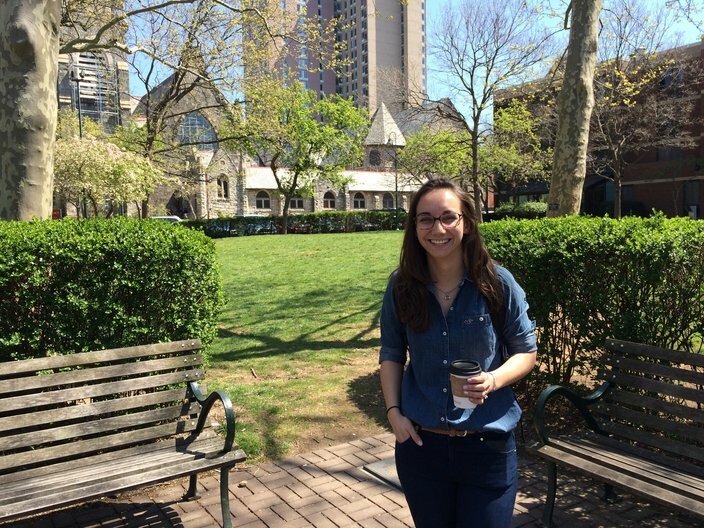 "Penn is a great school, but it can be a very stressful school, too," she said. These groups are just a sampling of the support services available at Penn. 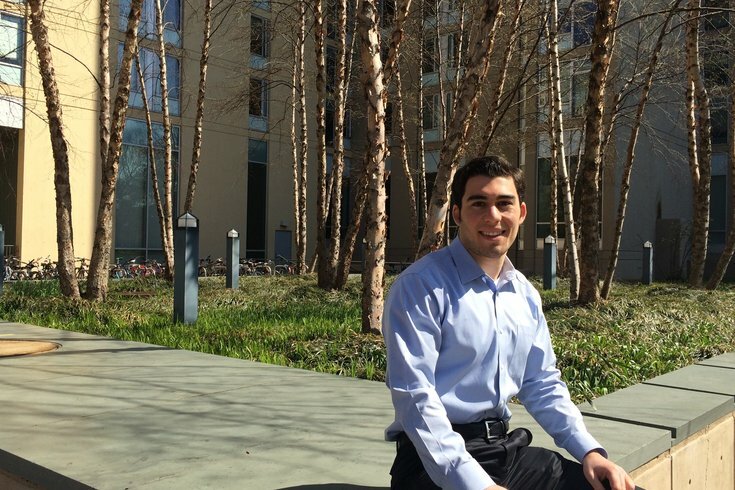 To help organize the many programs available, Penn student Ben Bolnick, 22, a senior studying psychiatry, has created Penn Wellness, an online board with information about wellness events and groups at the school. The idea of the site, he said in a recent interview, is to provide mental wellness organizations with a place to collaborate, and let students find groups they want to join. "Student can sign up for these projects," he said. "They can jump in on something that's happening or they can start something of their own." Since Kong's death, the site has seen a "dramatic" increase in traffic, Bolnick said. To learn about the available wellness groups and upcoming meetings, visit Penn Wellness.